There’s no doubt that the design team at Starsong understands the power of a sleek, well-designed piece of furniture to transform a room. 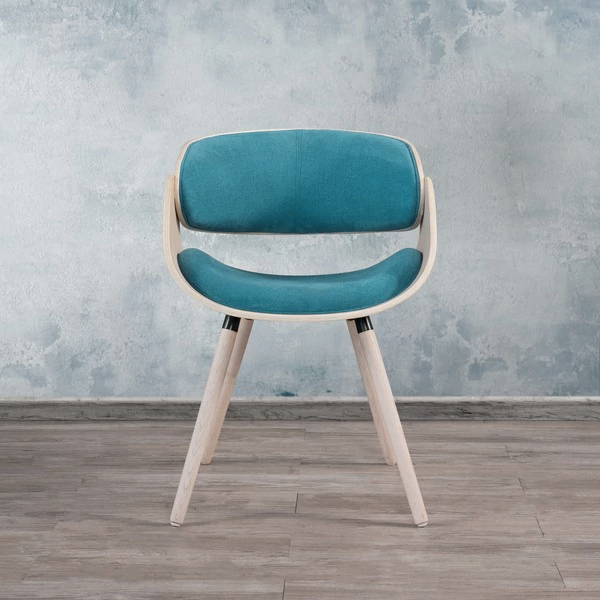 Since 1980, this family-run business has remained at the forefront of modern furniture design, providing affordable luxury pieces to suppliers and customers at accessible prices throughout the world. 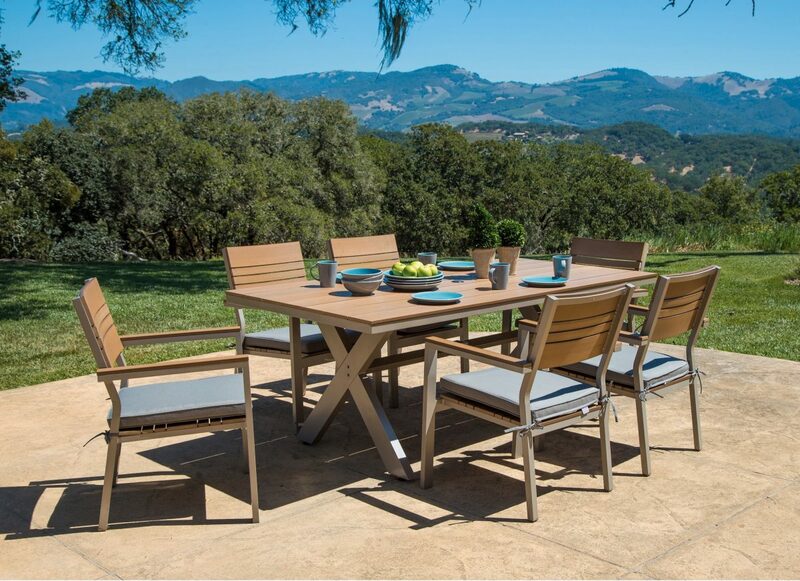 The Starsong Corvus Collection marries ergonomic, classic structure with renown materials from around the globe, ideal for accenting both the patio and the home. With a passionate dedication to customer experience and ever-developing design innovation, Starsong created the Corvus collection with both aesthetic and comfort in mind, combining trustworthy tradition with individuality. Additionally, Starsong collaborates with international distributors such as Overstock.com, ensuring their premier outdoor furniture is reachable everywhere. Their unmistakable artisan-crafted wicker and bronze patio furniture stands out by the poolside or beside a roaring fire pit. Indoors, mid-century design meets modern craftsmanship in both the Corvus accent and dining chairs. Homeowners can curate their individual Corvus collections to their needs, selecting either the full furniture set or by choosing items a la carte. White-glove service directly delivers the assembled furniture sets to each home, connecting with customers from purchase to setup. Outdoors and in, a touch of accent furniture changes the manner in which guests interact with a space, a feat the Corvus Collection performs flawlessly. Each collection not only adds style and purpose to an outdoor area, but also stands the necessary wear of the natural elements. 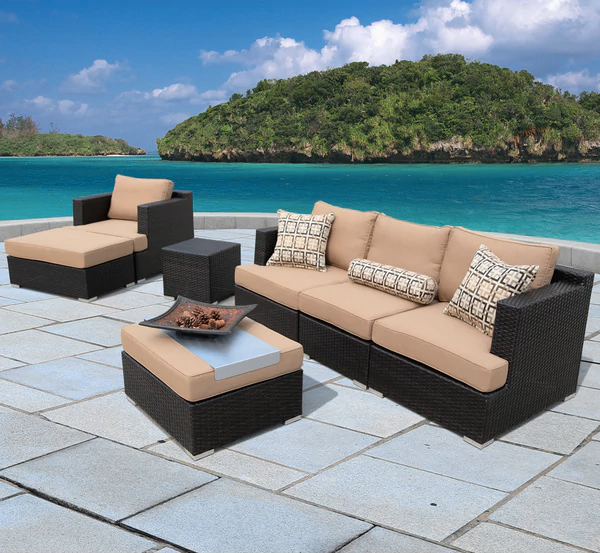 These water-resistant pieces, made up of superior aluminum and hard-woven resin wicker, remain protected for years to come through sun and rain. Most importantly, Corvus patio furniture converts outdoor properties into full dining and hosting spaces. As guests seamlessly shift the flexible seating arrangements of their patio sets, each modular piece shifts to accommodate every type of gathering. This richly classic 3-piece dining set welcomes ornate design and the grace of antique bronze for an afternoon of rest and conversation. 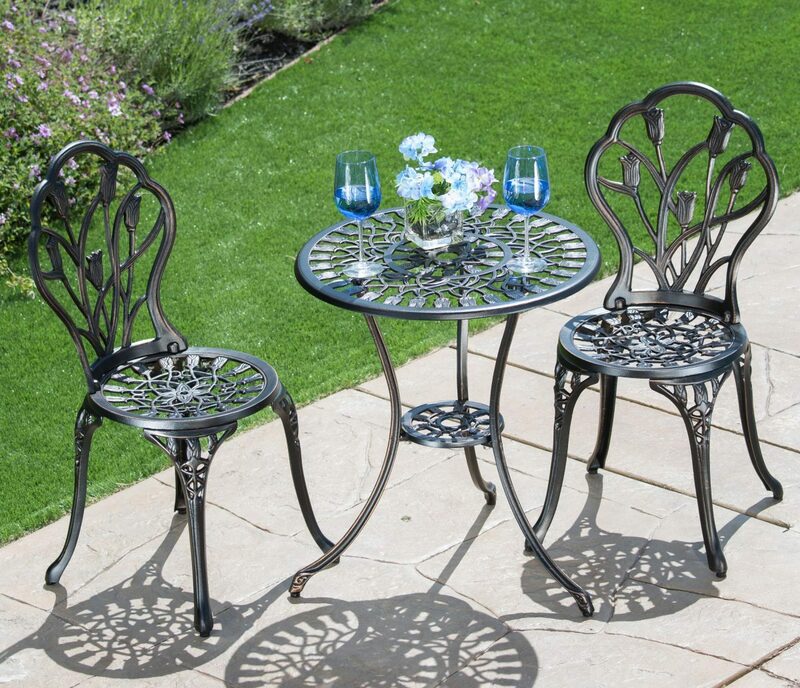 Stabilized with heavy-duty aluminum, the Case Bistro Set is the ideal combination of delicacy and strength when rounding out a patio area. Diminutive in size, place this combination in the corner of a favorite outdoor spot to highlight the surrounding nature for hosting and lounging. 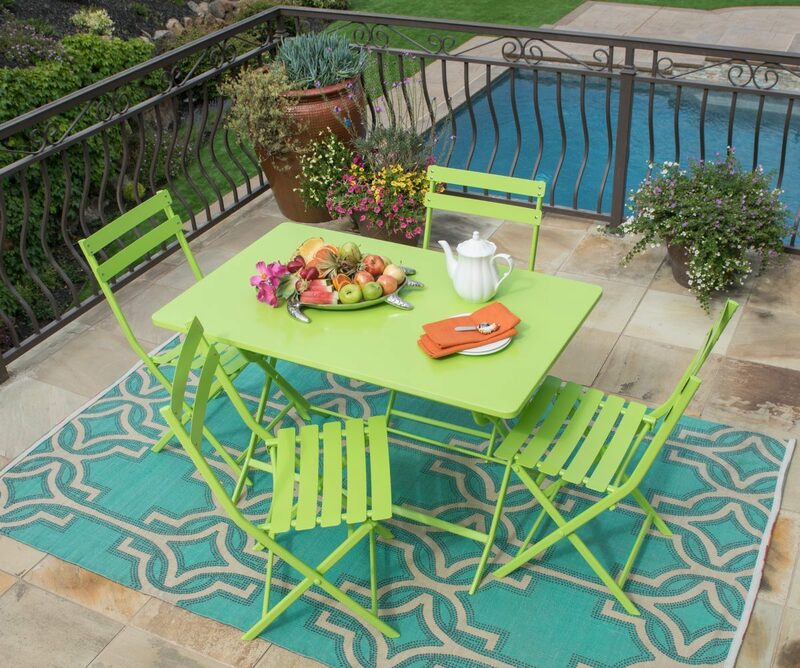 Providing a crisp sense of style to a back patio, the Cielo 5-piece Green Bistro Set invites up to four guests to dine on powder-coated steel folding chairs around a spacious matching dining table. There is no assembly required for this convenient addition, making it ideal for a courtyard or pool-side spot for gathering guests. Its color and simplistic structure make this set a perfect choice for playful spring and summer outdoor design. The highly acclaimed Corvus Jasmine 7-piece Dining Set makes the pinnacle of luxury available to all. Gather up to six friends by the pool for a full summer dinner. The set is easy to transport while remaining water-resistant, durable and UV-protected. Their eco-friendly Sunbrella cushions offer comfort and style while the champagne-beige finish blends the table’s design seamlessly into the surrounding natural elements of the yard. 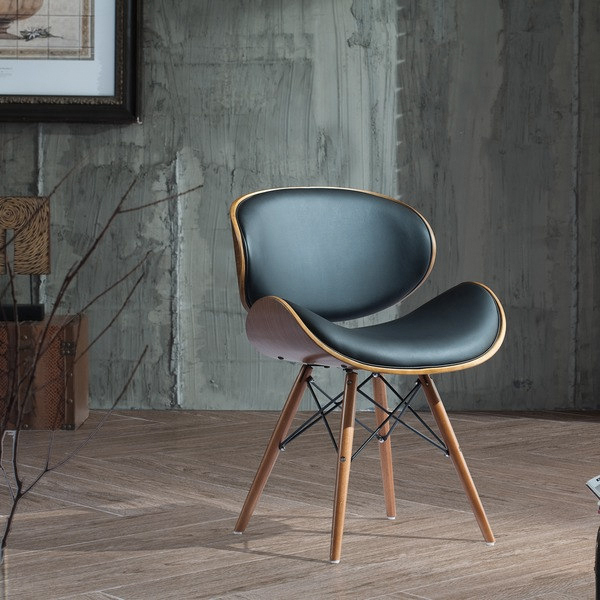 Meshing the sharp style of the past with smooth modern sleekness, the Corvus Madonna Mid-Century Accent Chair is an exclusive offering at Overstock. A combination of bonded leather cushioning, walnut finish and smoothly curved design spruce up the level of sophistication in any room. Highlighting the power of a minimalist accent piece, the Siena Dining Chair adds a clean perimeter to any dining room table. Each chair offers durability and comfort with a flexible yet strong polypropylene plastic seat supported by walnut-finished wooden legs. Their elegant curves highlight a Scandinavian design, melding easily with both eclectic and simplistic dining room design. The sheer style of these accent chairs brings together a well-structured room with ease. Sloped cushion and wooden armrests communicate mid-century class with contemporary comfort. Offered both in black and turquoise cushioning, this accent piece pops in a room seeking minimalist energy while remaining flexible for all design styles. Seven modular hand-woven wicker pieces transform an outdoor seating patio with comfort and flexibility. Mix and match the positions each detachable item, from the individual armchairs to the ottoman with serving tray. 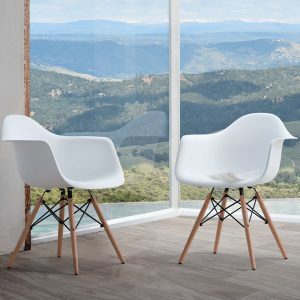 The entire set features a rich chestnut finish that blends with all natural settings and patios, making this a great option for those seeking a flexible set for all seasons. 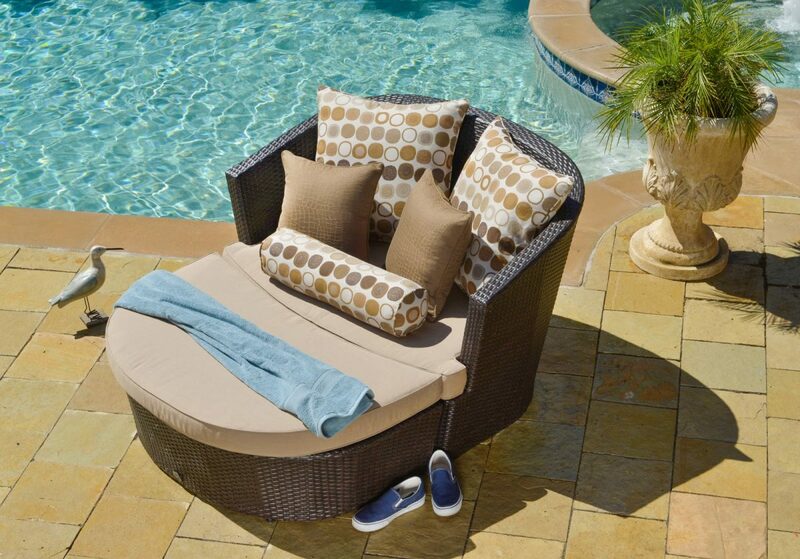 In addition to the specific comforts of each individual item—balanced with Sunbrella-coated cushions—the entire set requires no assembly, is waterproof, and easy to keep pristine. 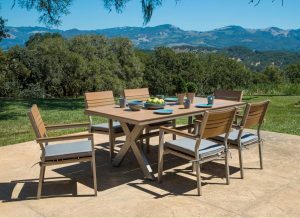 Delicate in color but sturdy in build, the 11-piece Covus Martinka outdoor set impressively gathers large groups together for cocktails and afternoon picnics. Five easy-to-clean cushions make this a classy yet low-maintenance dining spot, while the strong aluminum backed wicker of the chairs, ottomans and tables ensure their longevity and resilience. Their unique color scheme puts them above the rest. 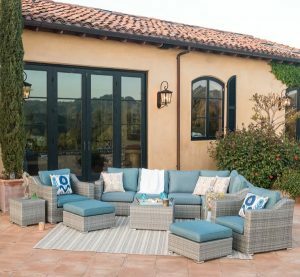 Soft gray wicker and blue cushion fabric add a pop of pale color to a poolside or naturally toned patio. The Corvus Collection by Starsong encompasses more than a unique and innovative design, but also offers a timeless and well-crafted compilation of eye-catching pieces that round out any home or back patio. Most importantly, this customer-focused business understands that luxury patio furniture should remain within reach of any budget without sacrificing quality or individuality. Consider the full affordable range of luxury Corvus options when reinvigorating a room’s design. 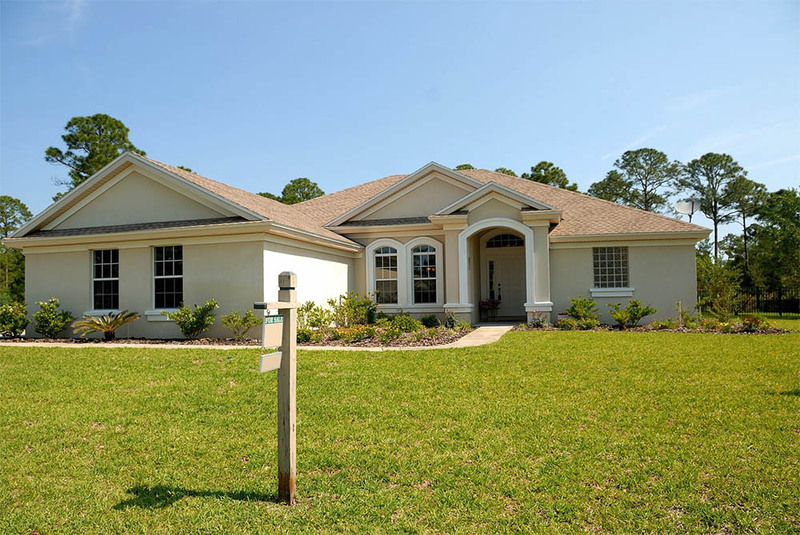 Starsong products go far beyond a one-time purchasing experience—their customer-focused business is known in the field for utmost care and ongoing support.